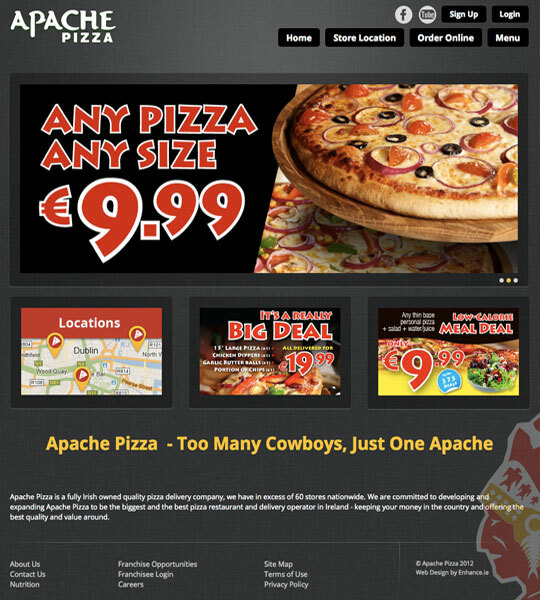 Apache Pizza are a long time client, Enhance have been working with Apache for over 11 years growing their website and online presence while their company flourished. They are now the largest pizza chain in Ireland, just coming up to 50 stores open nationwide. Enhance have recently added a new doorway element for the main site to allow updates in real-time so clients can avail of their latest offers. Bespoke Intranet, Facebook set up for multiple stores, single point for updating, online ordering system, Google Maps for multiple locations. Enhance have run targeted Google Adword and Facebook campaigns for Apache over the years. 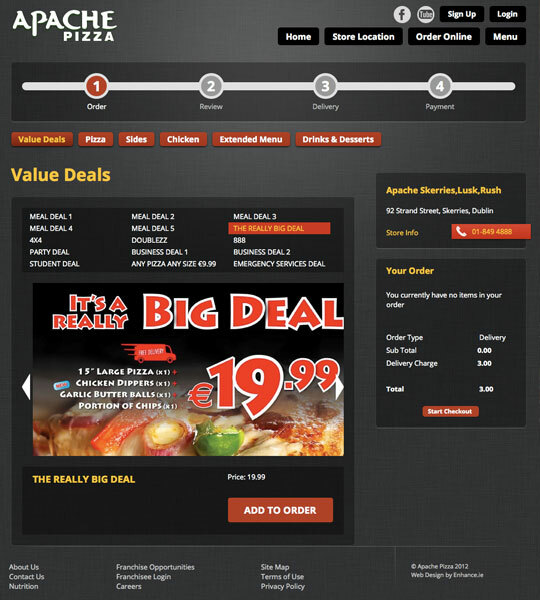 Their main site is organically optimised and is the number one result on Google Ireland for Pizza. Elements of the site are developed to W3C Level 2 Accessibility, COPPA standard were used for the children’s section of the site and standards compliant XHTML & CSS.